There are few health-related things you think of when you’re young— especially when it comes to your vision. 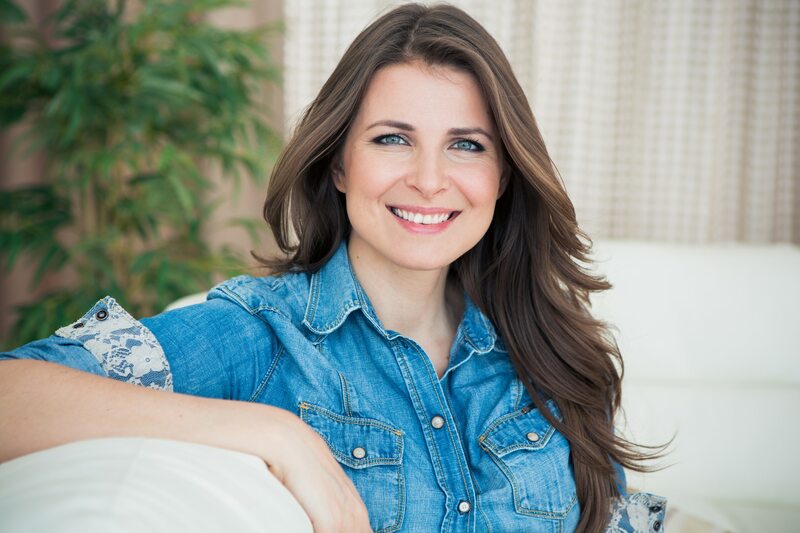 However, as you age and your vision starts to diminish, you become much more aware of your visions current state and how to prevent it from getting worse. As you age, one of the eye conditions that you need to be on the lookout for is glaucoma. Glaucoma is one of the leading causes of blindness in the United States and affects millions of people. If caught early on, the good news is that glaucoma can be treated. If it gets worse, however, there is no cure. So, what are the early signs of glaucoma? Let’s take a close look. You wouldn’t be able to spot this sign on your own, but our doctors at Papale Eye Center ould. During your routine eye exam, we check you for a variety of different things including glaucoma. By measuring the pressure in your eyes, we can detect early signs of glaucoma. If it measures high, we will closely monitor the pressure in your eyes to make sure it’s not getting worse. Eye pain is not normal— especially if it’s sharp. If you get consistent sharp eye pains, then come into our Papale Eye Center to be tested. Although eye pain doesn’t exactly mean that you have glaucoma, it may be an indicator. A headache after a night of restless sleep or a long day is fairly normal, but if you get strong, frequent headaches, this could be a sign of a variety of different vision problems including glaucoma. These are just a few signs of glaucoma. If you have a family history of glaucoma or if you would like to be tested, schedule an eye examination at our Springfield office today: (413) 782-0030. The team at Papale Eye Center has helped countless people in and around Springfield achieve excellent vision and maintain healthy eyes. This is part of our focus on regular screenings and exams to ensure early detection. These are important considerations when it comes to glaucoma, a leading cause of vision loss and blindness. 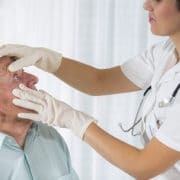 Let’s take a moment to consider what glaucoma is, what signs and symptoms people should note, and some risk factors that people should be aware of. Glaucoma is one of the leading causes of irreversible vision loss in the world. 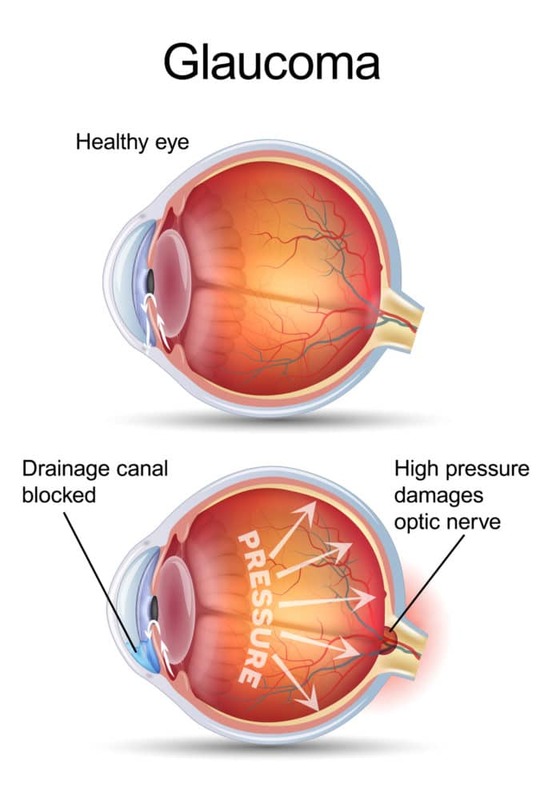 The condition occurs when the increased pressure within the eye causes damage to the optic nerve. 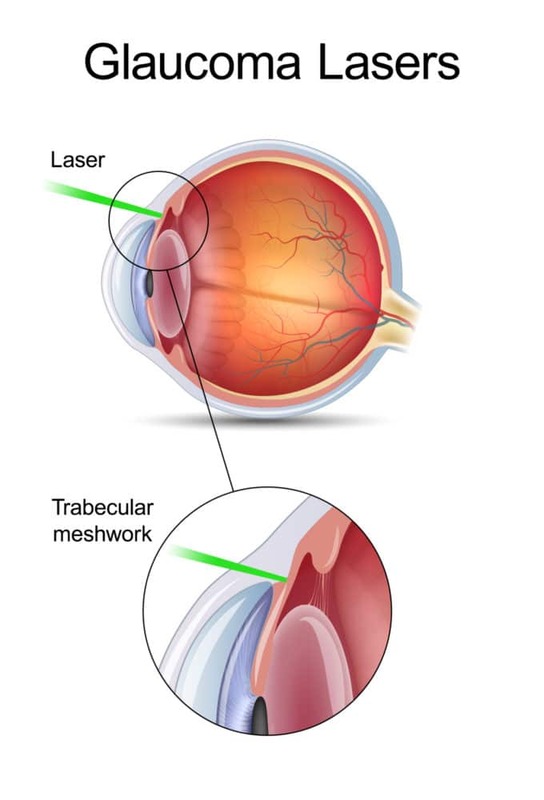 Glaucoma is an irreversible condition, unfortunately, but early detection and treatment will help slow the vision loss and preserve the patient’s vision in the process. 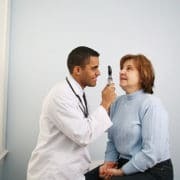 If other members of your family have suffered from glaucoma, particularly a parent or grandparent, there is a greater risk of developing glaucoma later in life. Glaucoma is more commonly diagnosed in people who are older. In particular, people who are 60 or older experience a higher risk for glaucoma. Suffering a serious eye injury in the past can result in problems with overall eye health. 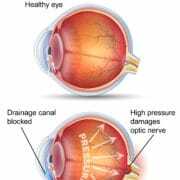 Not only are cataracts more likely, but glaucoma risk similarly increases. In addition to eye injuries, prior eye surgeries can also increase your risk of various eye problems, including glaucoma. This risk will likely be mentioned as part of the pre-op consultation process. Steroid use can lead to a whole host of serious health problems, including an increased risk of developing glaucoma. Some studies say that people who use steroids are up to 40 percent more likely to develop glaucoma. The corneas are the thin, transparent front portion of the eye. Light passes through the corneas on the way to the retinas. When you have corneas that are especially thin, this can lead to an increased risk of glaucoma. When someone has high-degree nearsightedness (myopia) or general farsightedness (hyperopia), they tend to experience a greater risk of developing glaucoma later in life. The best way to have glaucoma diagnosed as soon as possible is to regularly visit your eye doctor. Regular checkups can mean early detection and retention of overall vision in the long run. For more information about glaucoma and how it can be properly treated, be sure to contact our eye care and vision correction center today. The team at Papale Eye Center will help you achieve great vision and healthy eyesight.